Since there is great confusion out there regarding CK bulbs and which vehicles are wired this way. I feel we should start a thread where we list all the known/confirmed vehicles and bulb locations that use this setup. CK or Reverse Polarity sockets are used seemingly random throughout the industry, Imported and Domestic alike. To my understanding no ones tried to compile a detailed list of known vehicles, so lets get some people to chime in on who's got them, who's using LEDs, and what are some of the common work-arounds or fixes we can do to help these guys out. The LED CK community is often forgotten and dismissed by most manufactures often leading to low support and inferior LED designs. Lets try to change that. To start off, here is a brief rundown of what a CK socket is, and how its different from a standard T20 or T25 Socket. The T25/T20 wedge bulb is a very common bulb size that has many different other bulb number associated with this style. The main bulb number is 3157 or 7443. Some manufacturers use different numbers when they change some small aspects about the bulb such as wattage, color, or orientation. If it is a long life bulb the bulb number may be listed as 3157LL. Alternatively a 7443A bulb simply stands for Amber glass, use an Amber or (White LED when a clear lens is available) in this case. When it comes to LEDs, the other incandescent bulb features are not important. But what is very important is if the socket the bulb fits into is wired for CK or non-CK. Why is this important? Let me explain..
First question might be, why doesn't it matter with incandescent bulbs? Reason is because an incandescent bulb lights up using a coiled wire and does not matter what wire is on the positive or negative side as long as there is at least one positive and one negative. There is no "polarity sensitive" operation with incandescent or halogen bulbs, only with LED and HID systems. Polarity Sensitive represents the idea that the item at hand (LED, HID, Capacitor, etc) can only be connected in one way to work correctly, positive to positive - negative to negative. If you connected them incorrectly (negative to positive, etc) than they will not operate or damage the item. LED bulbs that are 3157 and are connected into a 3157CK socket can damage the 3157 LED bulb or ground out blowing a fuse. So this is why it is important to connect a 3157CK LED only bulb into the 3157CK wired socket. How can you tell if your socket is wired for CK or non-CK? Using a test light or multimeter you can find out which metal connection on the socket is positive and what is negative. 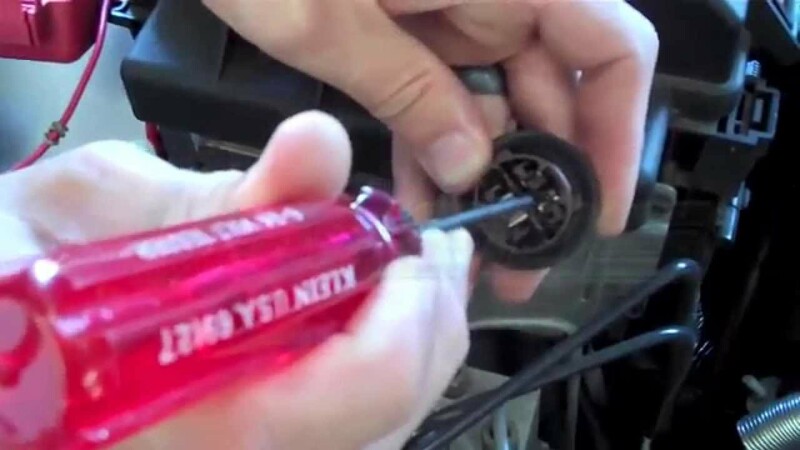 If your are looking to upgrade your vehicles 3157 or 7443 parking light, turn signal, or brake light bulbs with LEDs you NEED to identify what TYPE of SOCKET your car has. There are 2 socket types, Standard and CK. There is only one way to know for sure which socket your car has, TEST IT. VLEDs put together a short video that will guide you through the steps involved with testing your sockets. What is the difference between the Standard and CK style sockets? The position of the ground contacts in the socket is the only difference. They LOOK identical. What will happen if I use the wrong type of LED, i.e. A standard LED in a CK socket? The LEDs will not work properly or worse, they will blow your fuses that protect that specific lighting circuit. How do I know which socket type I have? Watch the video below and follow the instructions. Last edited by Thmanx; July 24th, 2015, 01:57 PM. Last edited by Masticator; July 24th, 2015, 11:16 PM. I’ve tried both the VLEDS 7443 Stadard and CK bases and i keep coming across the same issue. Please help! This is making me go nuts! Lol Thanks in advance. You're measuring something wrong I think. Both standard and CK sockets have only 2 grounds, with one high side and one low side power. As shown in the OP.